If you’ve tried a Beachbody program, you’ve probably had a goal in mind that you wanted to achieve. Maybe you wanted to lose weight. Maybe you wanted to get stronger. Maybe you wanted to improve your health. No matter what your goal, everyone needs a little inspiration. Meet Roger and Valentina. After their unhealthy habits were starting to affect their lives and their marriage, they decided to make a change together. Valentina lost a total 47 pounds with 21 Day Fix, 21 Day Fix EXTREME, Body Beast, The Master’s Hammer and Chisel, and P90X3. Roger lost 26 pounds and 14.5 inches after just one round of Body Beast. Valentina: I wanted to be an active and fit mom, not someone who just sat on the couch all day. I felt very insecure, and my marriage suffered because of it. I wanted to have confidence in myself. [Our lifestyles] affected us both, and I was unhappy, buried in my own insecurities, and felt that I had let my family down because I was not happy with who I had become. These feelings trickled down to our relationship, and it certainly affected my husband. Roger: I was suffering from sleep apnea, an enlarged heart, high blood pressure, and low self-esteem. I felt physically weak and had no energy to go to work. It led to depression, anxiety, and a bad temper. I was scared because my father had undergone triple bypass surgery and it seemed like I was going down the same route. I needed to make a change for myself and my family. Valentina: I was contemplating [weight loss] surgery, and my husband told me I should eat clean and exercise. I began my journey and afterwards, I felt empowered and completely transformed from the inside out. I felt like I was in the best shape of my life. I was toned! I had muscles! I thought results like this were only attainable with a personal trainer. However, Roger was staying out late and drowning his sorrows in alcohol and eating terrible food. He wasn’t caring for himself. One day he came home drunk and overheard our son ask me “Mommy, is Daddy broken?” I did not know he overheard him, but that was the point when he knew if he didn’t make a change as well, our marriage would end. Roger: My weight loss journey began after I saw my wife lose over 40 pounds. I was at a very low point of my life, and I was using food and alcohol as a scapegoat to numb my feelings. My doctor told me if I continued to go down the road I was on, I wouldn’t live past 40. I decided to try Beachbody, and the results were nothing short of phenomenal. Body Beast transformed my life physically, emotionally, and mentally. It helped me to transform into the best version of myself. My wife coached me throughout my journey, and I now feel like a better man, father, and husband. Valentina: Beachbody programs have completely transformed our lives. The biggest change has been the domino effect my simple decision to take a chance has made in my life and my husband’s life. I would work out in the mornings, and Roger would workout after coming home from work. 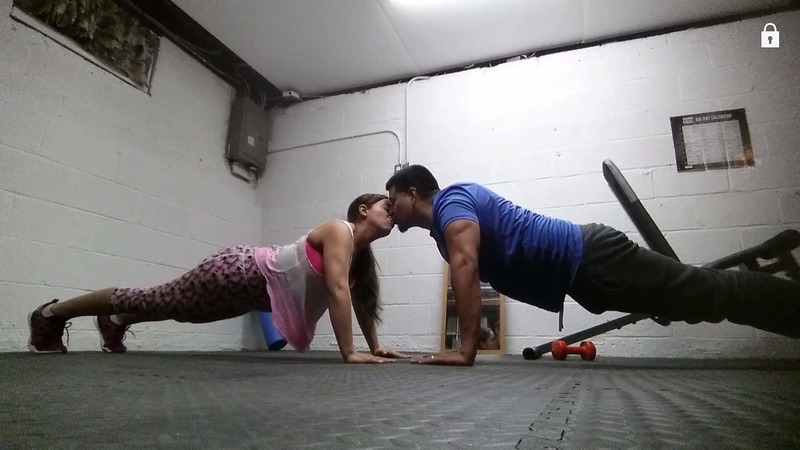 On weekends, we would work out together. We don’t ever want to be in that dark place again. Today we set an example together. We are both Coaches, and our personal development has not only brought us closer, but has also helped us to pass it forward and help others. We know that there are many other couples who are where we once were, and we aim to help them get to a safe and healthy place. I don’t know what would have been of our marriage had I not began my journey, but today we are healthier and happier parents and spouses. Remember, always consult with your physician about your unique medical needs before commencing any fitness program or nutritional product. Want to try a Beachbody program yourself? Click here to see our most popular products!